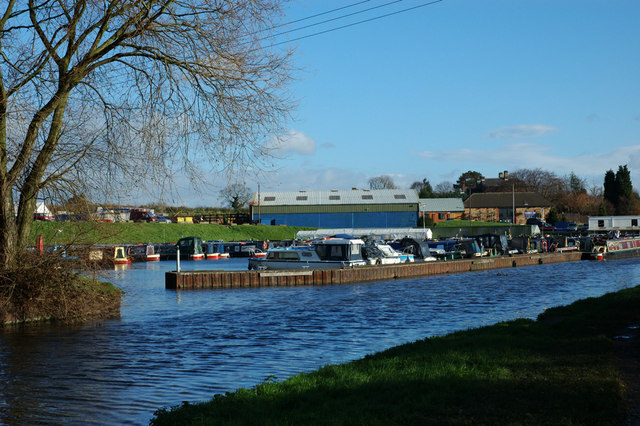 Gayton Marina is located on the Blisworth Arm of the Grand Union Canal between the villages of Gayton and Blisworth in Northamptonshire. strategically placed around the canal network, they have an excellent reputation for building high quality bespoke narrow boats, and can provide everything for the canalboat owner, or potential owner . 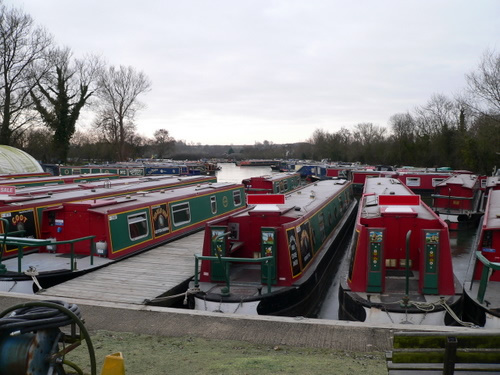 The marina provides cruising on the famous Grand Union Canal (The M1 of 200 years ago) south towards London or north toward the junction with the Oxford canals or East out towards the Fens. Just south of the marina is the famous Blisworth tunnel which at 3,076 yards (2,813m) long it is the third-longest navigable canal tunnel on the UK canal network and on the other side the interesting Stoke Bruerne Canal Museum. A short section of the canal in Droylsden will be back in water shortly, as redevelopment of the area between Manchester Road and Fairfield Lock is now underway! This will include the construction of a marina behind the present Library building. The former swimming baths have been demolished in preparation for the development and have been replaced by a superb new pool at Medlock Leisure Centre in Droylsden. The original proposals included buildings blocking the line of the canal beyond the marina but representations from the society have resulted in modifications, so that the line of the canal could now be restored through to Manchester Road Bridge and beyond.. The re-building of Tesco’s store to the north of Manchester Road will not affect the line of the canal. The development will mean restoring the canal for approximately 175 metres from Fairfield Junction. The canal will be the centrepiece of a housing and marina development. Watkin Jones are the developers appointed by Tameside Council while British Waterways have been given the task of the canal design work. When completed there also will be permanent moorings for up to thirty boats and space for visiting boats. British Waterways will be responsible for this new section of canal. 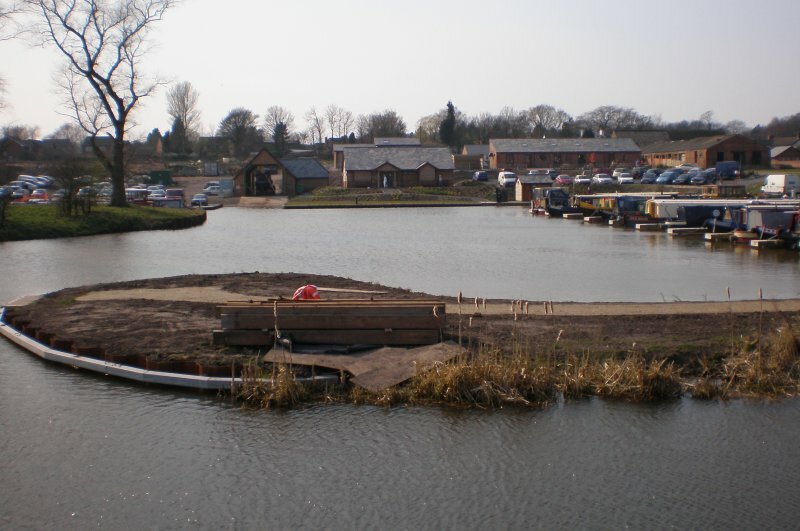 Stenson Marina is situated in South Derbyshire, convenient for Derby and Nottingham. The marina has approximately 80 berths and provides a traditional community spirit among our moorers. All main services of electricity, water, diesel, pumpout and waste are available, without additional service charge. Stenson also has one of the best equipped yards for service and repairs in the Midlands so we can look after and repair your boat. On-site services include slippage, covered paintshop, steelwork repairs, LPG & diesel servicing and a carpentry workshop. Cruising routes are varied with a mix of short and medium canal cruising rings as well as weekend visits to Shardlow, Willington or Burton on Trent. The routes provide some of the most popular heritage sites as well as an bundance of flora and fauna. St Mary’s Marina opened in January 2006 providing a range of moorings on the wonderful Rufford Branch of the Leeds Liverpool Canal. At the marina we offer a range of services, which include long-term moorings with fully-equipped facilities. So, whether you are a visiting boater who’s just passing through, or looking for a longer term stay, please contact us. 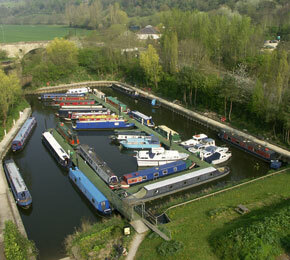 We have moorings for narrow and wide beam craft, and also provide facilities for canal cruisers and other craft. Currently under construction, Beckett’s Park Marina will offer a total of eighty moorings (including six residential) on an old rowing lake in Beckett’s Park on the river Nene in Northampton. The marina is scheduled to open in March 2011. The location of an old coal tip on land between the Stainforth and Keadby Canal and Stainforth settlement, together with the need for the tip to be re-engineered has enabled Waystone to consider the re-development of a total area of eighty acres. In compliance with BWB policy for the development of off-line marinas, Waystone is planning a mixed-use development with a large new marina at its heart. Following initial community consultations, Waystone is now preparing detailed plans for submission to the local planning authority. There is no information about the moorings at this location on the company web site. If you own or manage Ashby Canal Centre and would like update your listing, please contact me. GOOLE BOATHOUSE is located in a basin beside the Aire & Calder Canal which was formerly used for storage of timber. The water is kept at a constant level so that boats remain floating at all times. Mooring is to modern floating pontoons which can be approached by a security gate, making Goole Boathouse one of the safest places to keep a boat in the Yorkshire area. There are 140 moorings of various lengths giving suitable berths for yachts, cruisers, fishing vessels and canal boats. Electricity and water are available at the berths. Other facilities include dry storage on land and under cover, a dry dock and a slipway, car parking and a well stocked chandlery. Narrowboats of up to 18 tons can be pulled out on our purpose-made trailer. 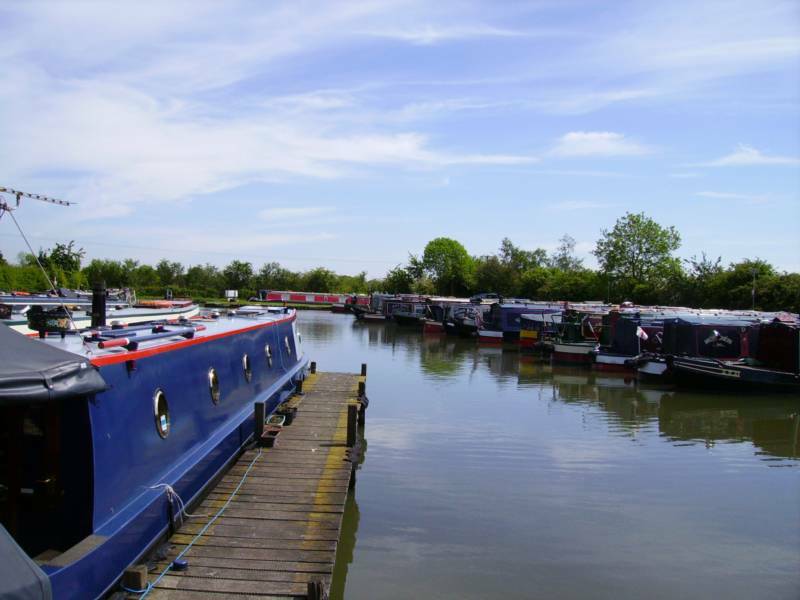 Bugbrooke Marina is a small friendly marina situated in the Northamptonshire countryside not far from Weedon and on a 15-mile lock-free pound stretching from Whilton Locks to Stoke Bruerne. Facilities on site include water and electricity points, toilet facilities, portapotti disposal, rubbish disposal and a resident security warden. There is a village shop within easy walking distance and a pub which also serves food almost next door. There are no boatbuilding facilities or hire fleet on site so the peaceful atmosphere of the marina is maintained. Pump out facilities, diesel, coal and gas are available at nearby boatyards and at Tarry’s coal yard at Nether Heyford. Up to 88 caravan pitches available and 50 boat moorings. All pitches are hard standing and have electrical hookup, heated toilet and shower blocks available 24 hrs. On site laundry facility and childrens play area, site security and easy access to River Avon / Bristol and Kennet and Avon Canal to Reading.